Today hundreds of fishing boats sit marooned on cracked, dry mud as vultures fly above the shores of the once productive fishing zone 30 kilometres east of the southern African country’s old capital Zomba. 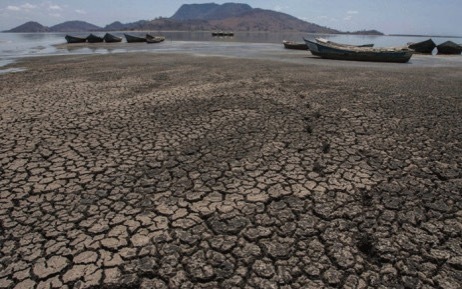 Chilwa, the country’s second largest lake after Malawi, is shallow and saline and particularly prone to seasonal variations in water level and was last so dry during a drought in 1991. It is home to two inhabited islands and also sustains nearly 200 waterbird species. Records show the lake has dried completely several times in the last 100 years… according to published literature, it was a cycle of 20 to 25 years. But that rhythm has changed. From the 1990s, the frequency of the drying has increased and this is connected to the impacts of extreme weather events typical of climate change. This entry was posted in Environment, Global Warming and tagged climate change, global warming, receding lake. Bookmark the permalink.